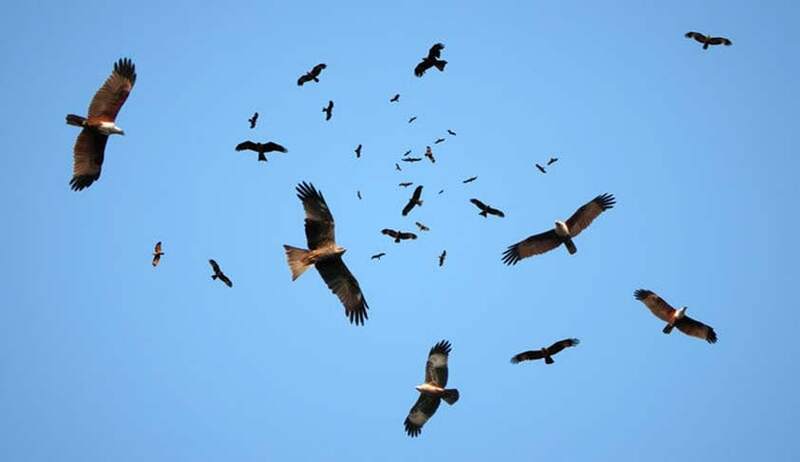 A three-Judge bench of the Supreme Court on Friday issued notice to the Gujarat Government on a Petition challenging a Gujarat High Court order that had declared it is the Fundamental Right of birds to live freely in open sky. The petitioner, Pet Lovers Association, represented by Senior Advocate Salman Khurshid, has contended that the High Court order is a flawed one and that there are laws in place to protect birds which can be domesticated. “Birds and animals can play a positive role in the improvement of health problems and can be psychologically comforting to human beings,” the petition says. The case had been initiated with the recovery of 494 birds from the custody of the accused. These were kept in cages, with their wings and tails cut, cello-tape on their wings and rings on their legs. Several applications were filed by the accused as well as the original complainant for the consideration of the Court. The accused had objected to handing over the birds to the NGOs, contending that no offence was committed under the Prevention of Cruelty to Animals Act, 1960 or under the Wildlife Protection Act, 1972, as birds are not the restricted birds under the Schedule of the Wildlife Protection Act, 1972 and no license to sell those birds is required to be obtained from the competent authority under the Wildlife Protection Act, 1972. The complainant and NGOs had contended that the manner in which the birds were kept in cages was in violation of their right to live freely in the open sky and was against the law of nature. The Court observed that even if it is assumed that license was not required for some birds, atrocities could not be committed on the birds by the accused. “Nobody has a right to inflict pain or suffering to others inclusive of the animals and birds. Even birds cannot be kept in cages by which they suffer a pain. To keep birds in cages would tantamount to illegal confinement of the birds which is in violation of right of the birds to live in free air / sky. For the aforesaid a specific law might not be required. It is the fundamental right of the bird to live freely in the open sky,” the Court had observed. In the light of this and the fact that keeping the birds with the NGOs would be too expensive for them, the Court ordered that the birds be freed. Such an order, it said, would respect the rights of the birds. More recently, Delhi High Court had observed that birds should be allowed to fly free and not be kept in cages or subjected to cruelty. “I am clear in mind that all birds have Fundamental Rights to fly in the sky and all human beings have no right to keep them in small cages for the purpose of their business or otherwise,” Justice Manmohan had observed. You may read more about the case here.